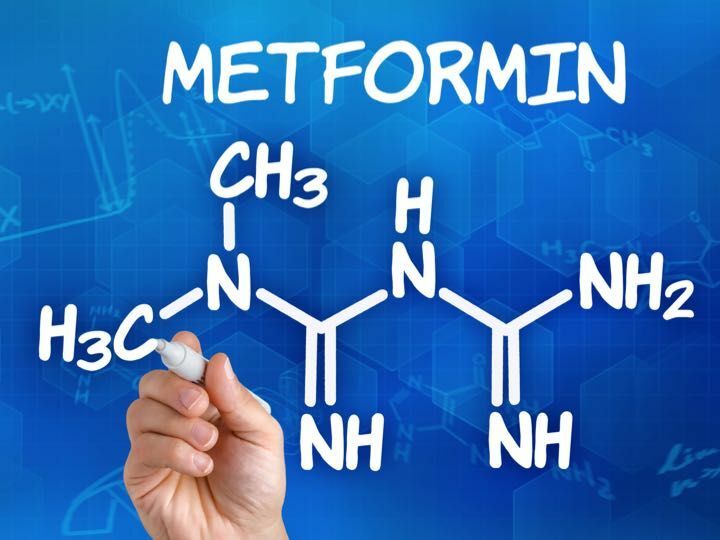 Metformin, commonly prescribed to type 2 diabetics, was found to improve several cardiovascular biomarkers in patients with type 1 diabetes, researchers said. Overall, the researchers reported in Cardiovascular Diabetology, there was no significant change in glucose levels after continuous monitoring and HbA1c during the treatment program. Other markers of cardiovascular health including blood pressure, triglycerides, total cholesterol and BMI remained constant. "We are not surprised by the outcome of our study," wrote Weaver in an email to MedPage Today. "Our results are confirming the cardioprotective action of metformin beyond any improvement in glycemic control. We specifically kept glycemic control unchanged to study the mechanism behind metformin action alone. Thus we have improved patients CVD risk without striving for tighter diabetic control and risking hypoglycemia." By increasing vascular stem cells such as circulating endothelial progenitor cells, pro-angiogenic cells, and decreasing circulating endothelial cells, the patient is better able to self-repair damaged heart tissue, Weaver and colleagues suggested. The MERIT study was the first trial to test metformin for cardioprotective effects in type 1 diabetes patients. Because heart disease is so prevalent in patients type 1 diabetes, the researchers noted their goal of this study was to reduce risk of heart disease in diabetic patients. Because heart disease is so prevalent in patients type 1 diabetes, the researchers noted their goal of this study was to reduce risk of heart disease in diabetic patients. The investigators' hope was to repurpose an inexpensive method to moderate cardiovascular risk beyond improving glycemic levels, similar to current "cardioprotective interventions (i.e., statins, exercise) [which] can improve circulating endothelial progenitor cells, endothelial cell or Hills colonies," wrote Weaver in an email to MedPage Today. "We have published earlier this year in Cardiovascular Diabetology, a laboratory study on the effect of metformin on angiogenesis mediated by CD34+ cells," Weaver told MedPage Today. "In that laboratory study we have shown that metformin improved angiogenesis, concurring with our clinical trial." The treatment group consisted of 23 individuals between the ages of 19 and 65 with type 1 diabetes. The treatment group participants also were required to have an HbA1c level of less than 8.5% (69 mmol/mmol), and no macrovascular complications. Patients with active proliferative retinopathy and renal impairment (eGFR<45) were excluded. Patients in the treatment group were matched with a standard group of nine type 1 diabetic patients currently taking standard insulin. Additionally, there were 23 participants in the "healthy" controlled group participants without diabetes. The treatment group participants began a metformin regimen starting with the dosage of 500 mg a day, gradually increasing up to 1 g twice daily. Patients were requested to keep glycemic control unchanged by adjusting the dose of insulin. Throughout the 8-week trial period, glucose levels were monitored and blood sample were tested for biomarkers. The authors reported no adverse outcomes in studied patients. Ahmed and colleagues note while these results are promising, a large, randomized controlled study is required in the future to further confirm findings.